It's been many years since I've been to the Canadian National Exhibition or The EX (as it's fondly coined). 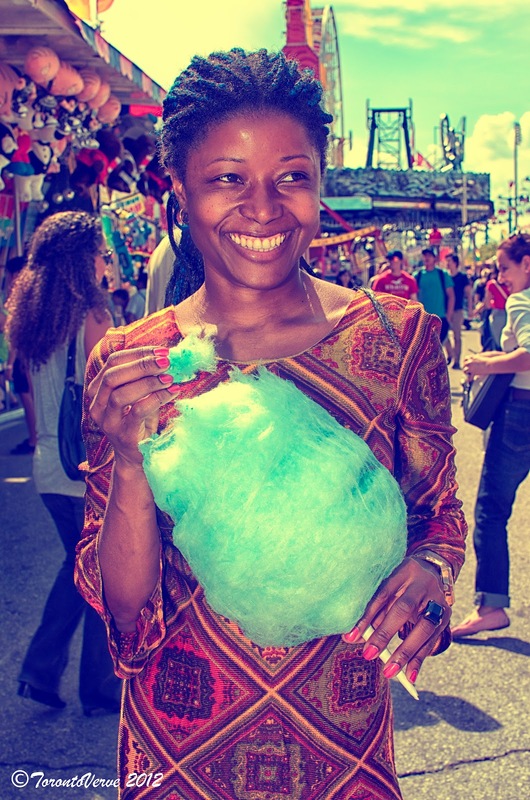 When I was a kid, nothing made me happier than bumper cars, ferris wheels and cotton candy. 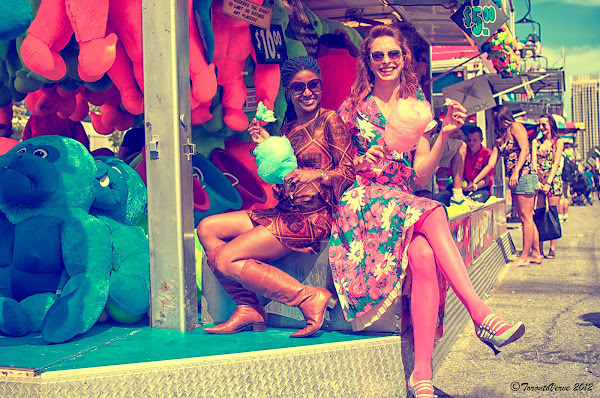 This year, visiting the EX brought back all those great memories and to help us get into the nostalgic mood, we brought along Brigith & Molly with their cool vintage street styles. Molly: "I’m fairly certain that you only live once, so why not make every trip to the grocery store count? Have some fun, dress it up and try to create a bit of a character. When I was 14, I grew 5 inches in one year. Hiding in a crowd was no longer an option, so I decided to embrace it and my style got progressively louder over the years. My vintage style wasn’t really deliberate. Like a lot of my friends in the late 90's, I went through this hilarious 'street' phase in high school -- fresh kicks, track pants, huge hoop earrings, drawn on eyebrows etc. Then I woke up one day and realized that that had nothing to do with my personality. When Value Village used to be cheap, I'd kill an afternoon looking for prints and shapes that really stuck out. You used to be able to do some serious damage with 10 dollars! I loved finding pieces that were obviously sewn at home by someone else. Often in really gaudy curtain fabric with crooked seams. There always had to be an element that was tacky or just not right. I also really liked the idea that there was no one else on Earth who had that same piece...and probably for good reason!" Brigith: "I always had a strange nostalgia for fashion. Back then, everyone always looked so proper and ready to go regardless of the time of day. 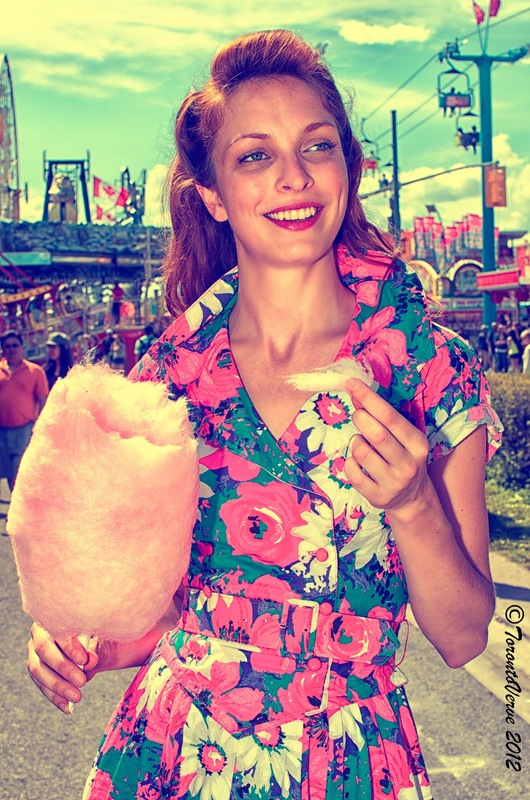 Vintage designs are more whimsical and have more colour. My friends are used to my vintage style now. They often point things out for me or they purchase antique pieces because they know I love it. People always compliment me on my style. Recently, I was wearing a vintage mini-dress with knee high boots and somebody started singing Nancy Sinatra's These Boots Were Made for Walking. It was such a nice compliment." Brigith: "I like fashion from many different eras. It's hard to explain. Compared to contemporary styles, vintage clothing always take things further. Specifically, my inspirations are Diana Ross, Grace Kelly, Twiggy, Tina Turner, Coco Chanel, Pucci and vintage YSL. Toronto has great vintage shopping. I visit several vintage stores in the city -- especially on Queen West. Also, there 's the occasional great find in places like Value Village or The Salvation Army. 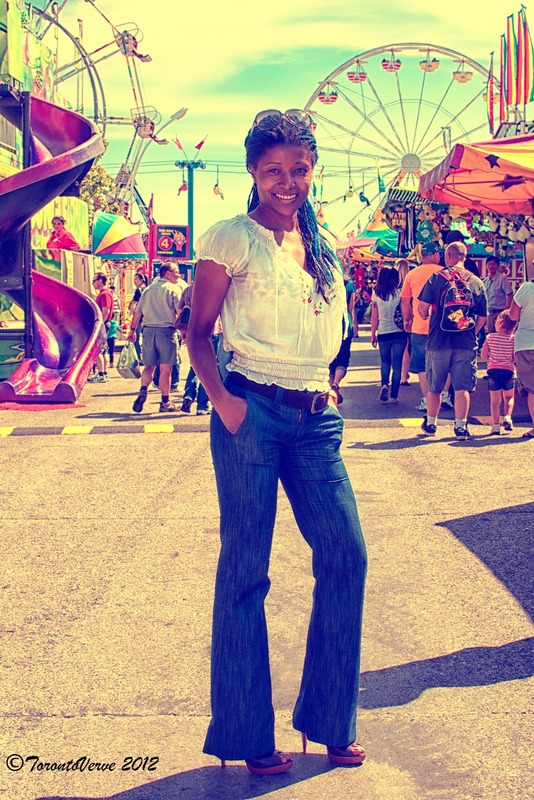 I especially like picking up vintage pieces when I travel through Europe." Molly: "Whether it’s some sort of street-fighter get-up or a fortune telling muumuu, I sometimes get slack jawed staring from onlookers, but I choose to take it as a compliment. On the whole I get a pretty great reception because I think it’s obvious that I’m having fun. Don’t worry about how you’re being perceived. If you want to wear something or say something, do it and make it count. It has a lot to do with confidence."" Molly is a fibre artist and will be featuring her piece, Wolverina, at The World of Threads Festival held at gallerywest in November. The group exhibit is called Where Were You When Amy Winehouse Died? 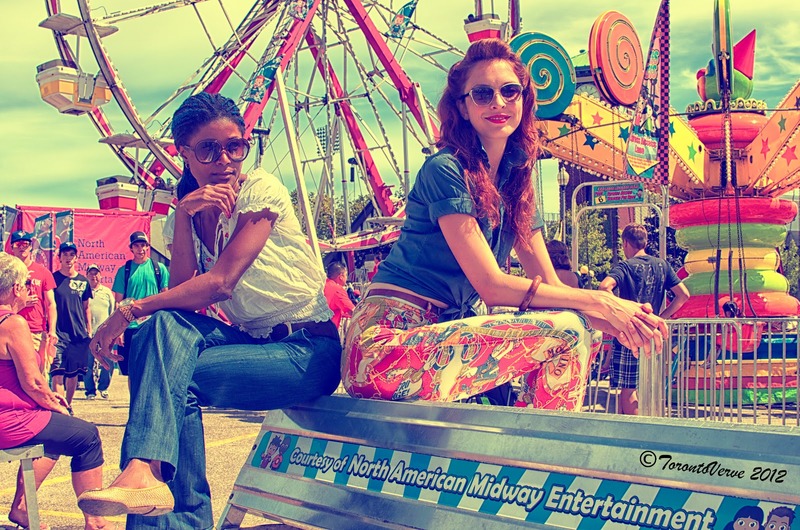 Such fun photos - definitely capture the mood of the fair! what a lovely piece, fun to read and loved the pictures! thank you!